To add products to your Wishlist, click on “Add to wishlist”. The product will be added to your Wishlist along the top of the page. When mousing over a product in your Wishlist a snippet of the product be displayed. Click on the product to view it in full. 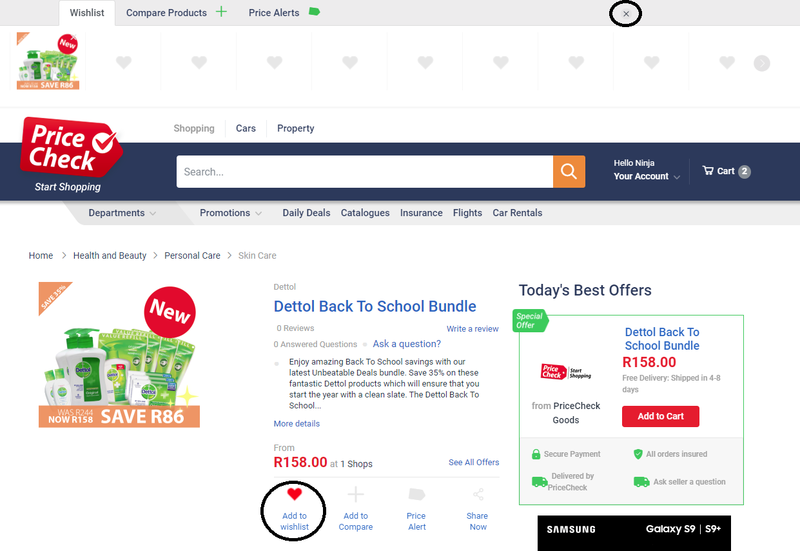 To remove a product from your Wishlist, click on the “x” on the top right-hand corner of the product within the Wishlist. To close your Wishlist, click on the “x” along the top right-hand side of the page. You can access your Wishlist at any stage by going to Your Account > Wishlist.